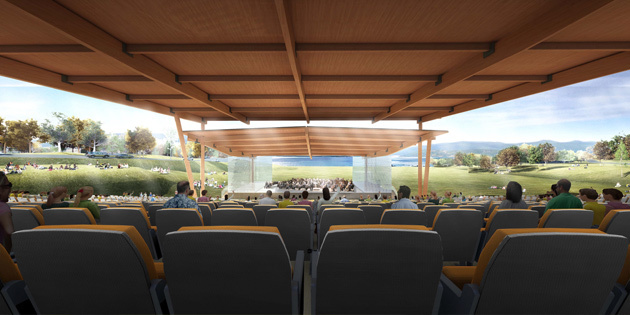 An outdoor amphitheatre to accommodate up to 5,500 people is being proposed for the Vernon campus of Okanagan College by the non-profit Okanagan Summer Festival Society. The proposal for the amphitheatre and an initial concept plan were disclosed at Thursday’s meeting of the Greater Vernon Advisory Council. “We see the opportunity to develop a significant addition to the cultural infrastructure of our valley at a site that has incredible views and that would showcase not just world-class performers but also world-class scenery,” explains Diane Bond, the Society’s Managing Director. The group has been seeking a venue to accommodate large performing groups, such as symphony orchestras and dance companies, for some time. It has been working with Okanagan College with the Vernon campus site in mind since 2011. 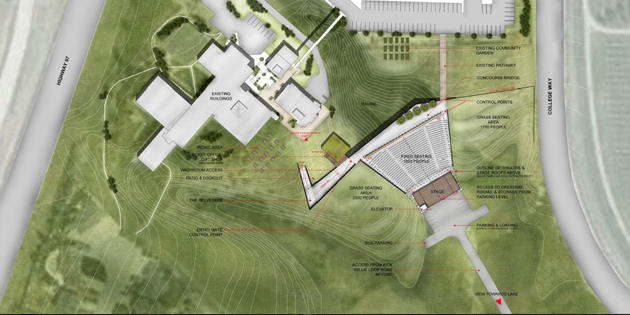 The amphitheatre would take advantage of campus topography; notably a coulee that has not figured into long-term development plans for the institution. With research in hand that speaks to the feasibility of the project, the Society has signed a Memorandum of Understanding with the College’s Board of Governors that authorizes the Society to continue work on developing the idea. The expectation is that the Society would be wholly responsible for building and operating the facility on the College’s property in Coldstream under a long-term lease. 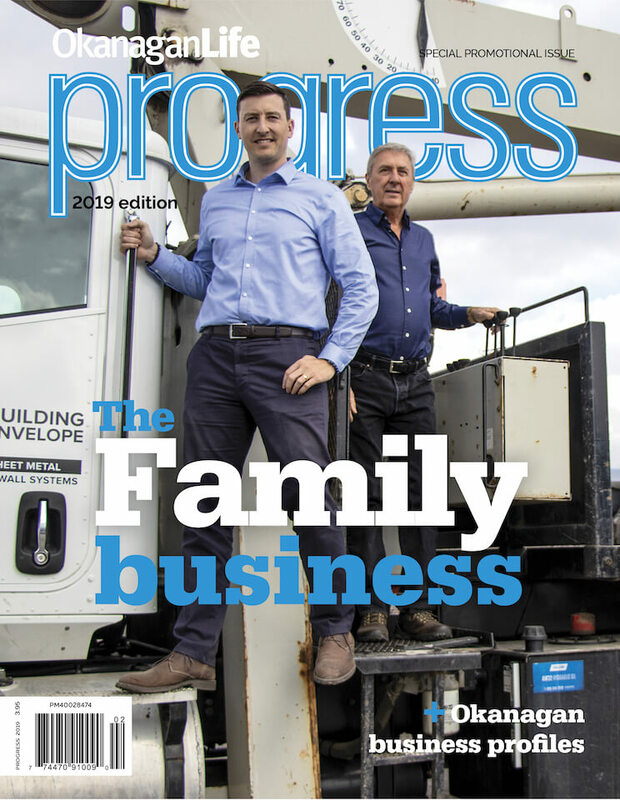 “We see the opportunity to use some of our campus property for the benefit of the entire region and British Columbia’s cultural community and can see several uses that would suit College purposes as well,” explains Lister. Bond reassured the Greater Vernon Advisory Committee on Thursday that the Society would not be coming to the municipalities or the College for requests of major funding for the construction of the facility. 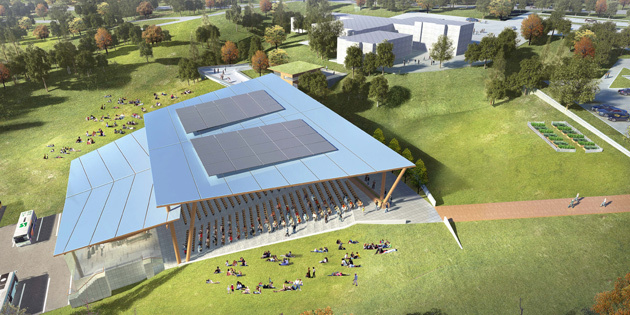 The Society will be looking to federal and provincial funding opportunities as well as to private sector donors to make the amphitheatre a reality, she explained. Residents and businesses interested in learning more about the project are invited to an Open House hosted by the Society at the Vernon College Campus on Dec. 14 at 5 p.m. in the Kal View Cafe where an architect’s initial concept plan will be available for viewing and comment. You can also visit www.kalbowl.ca for more information. The Okanagan Summer Festival Society gratefully acknowledges the financial support of the Province of British Columbia for the completed Feasibility Study and of the Community Foundation of North Okanagan for ongoing public consultations.